Mad Men: a new coup at Sterling Cooper Draper Pryce? 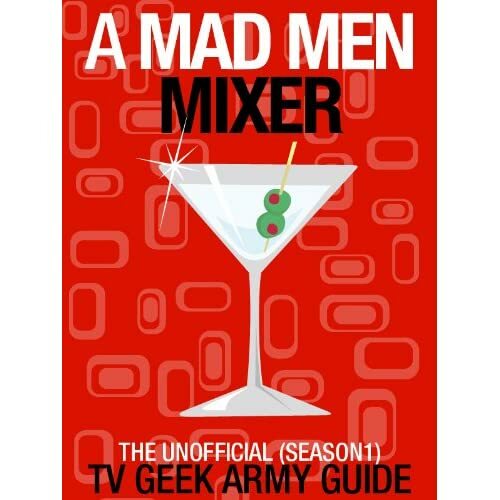 Posted on Monday, April 22, 2013, by Eric - TV Geek Army "Revered Leader"
A friend asked me recently what I thought about the new season of Mad Men. I said something to the effect of, "It's good. It's always good… but it's dense. There's a lot going on, and it takes me some time after each new episode to absorb everything that's going on." One of the things going on early in Season Six is a pervading feeling of dissatisfaction. This has always been an ongoing theme in Mad Men, of course, but as we enter the chaotic last years of the 1960s, the sense of near-breaking-point frustration amongst longtime characters has been palpable. This lead me to conjure up a scenario in which a number of non-partners at Sterling Cooper Draper Pryce break off – "Shut the Door. Have a Seat"-style – to form their own firm. Its name? I dub it: Cosgrove, Crane, and Ginsberg. The more I think about it, the more realistic this scenario seems. Before I get to the specifics though, let me just state loud and clear that Matthew Weiner and crew are most expert at subverting our expectations, typically to maximum dramatic impact and entertainment value, so obviously everything that follows is speculative. 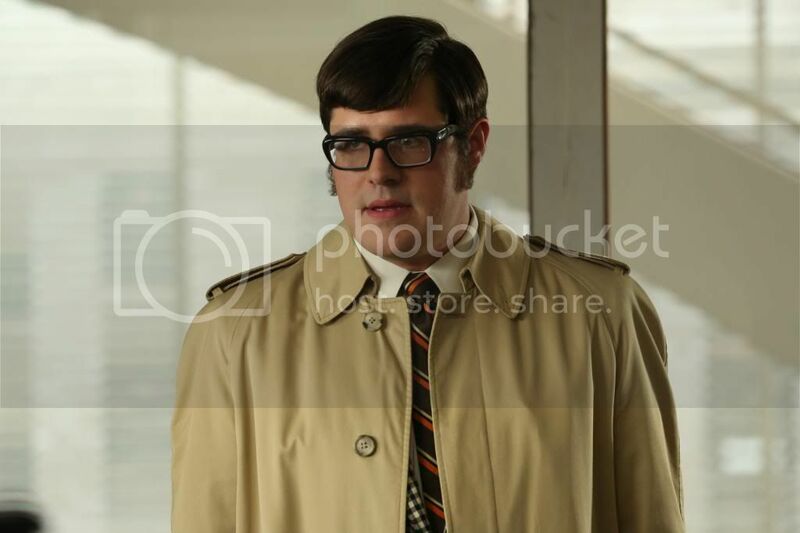 Now then, consider that Harry Crane (Rich Sommer) went nuclear in "To Have and to Hold" this week when Joan (Christina Hendricks) attempted to fire his secretary, Scarlett, without consulting him first. This lead Harry to demand a partnership, which culminated in an almost quaint throwback scene in which Harry kicked off his shoes to have an audience with Bert Cooper (Robert Morse) and Roger Sterling (John Slattery). He did not get his partnership, however, and seemed barely satisfied with the bonus he was given (the entire commission for his Joe Namath on Broadway project), which was equivalent to more than his yearly salary. Kenny Cosgrove (Aaron Staton) has evolved quite a bit from his happy-go-lucky days of the early '60s. We've seen him slowly get bitter and jaded. And consider that his sideline in fiction writing was snatched away from him by Roger last season (Dave Algonquin, we miss thee well). He even flat out told Roger later that he wasn't interested in a partnership in the very firm he works for in the wake of what Joan was asked to do to attain that position (i.e. sleep with Herb of Jaguar fame/infamy). And recall too that Kenny and Pete Campbell (Vincent Kartheiser) have never been on the best of terms. So we have Harry and Kenny, two veterans of the advertising industry with a hefty amount of experience and contacts. Harry has built up a television/media empire of sorts within SCDP and holds all of the cards in terms of his entertainment and Hollywood contacts. And Kenny in effect has the key connection at Dow Chemical by way of his father-in-law, Ed Baxter (played by the great Ray Wise). While Ed was originally not interested in moving his business to SCDP merely because of Ken's presence there, I can imagine a different tune being sung were Kenny to become a founding partner at a new firm that bears the Cosgrove name. Harry and Kenny also are on friendly terms and have known each other for years. Kenny has static with Pete and Roger with good reason (and Paul Kinsey briefly back in Season One for hating on his success in publishing a short story in the Atlantic Monthly), and might be in a mood to jump ship. So if he were able to steal a few choice accounts, including Dow, we might have the makings of a new firm. The missing piece is the creative genius. And as we saw last season, young Michael Ginsberg (Ben Feldman) was often able to run circles around Peggy Olson (Elisabeth Moss) and even Don Draper (Jon Hamm) himself without breaking much of a sweat. Stan Rizzo (Jay R. Ferguson) doesn't fit the bill, not least because he seems to be blissfully happy holing up in his "private" office smoking pot and giggling hysterically about wanting to order dinner. For bonus points, it would be massive fun if another old favorite or two (Sal Romano? Kurt and Smitty? Hildy and Lois?) were brought into this new entity. And finally, as great as it was to see Don's SCDP and Peggy's CCG go at it over Heinz Ketchup this week, imagine the stakes and drama involved if we threw a new and renegade Cosgrove, Crane, and Ginsberg into the mix? I hate when the depressed, cheating scum Don is around. He is being such a jerk to Megan and she doesnt deserve it. His hypocritical rant to her was too much. certainly we saw some of don's ugliest traits come out in this episode!